Back-to-School is almost here! I can’t believe that my daughter, Olivia, is going into grade 7!! Bridget will be in grade 1 and at school full-time. Wow, now I feel old! Both need different types of school supplies. Olivia is getting into the pens, binders, notebooks, etc and Bridget uses the crayons, glue and scissors. I prefer to get them quality school supplies that are going to last them the whole year and it seems the stores this time of year are all picked over. Today I want to introduce you to the French company, Quo Vadis. They are well-known internationally and have products available in more than 12 languages! 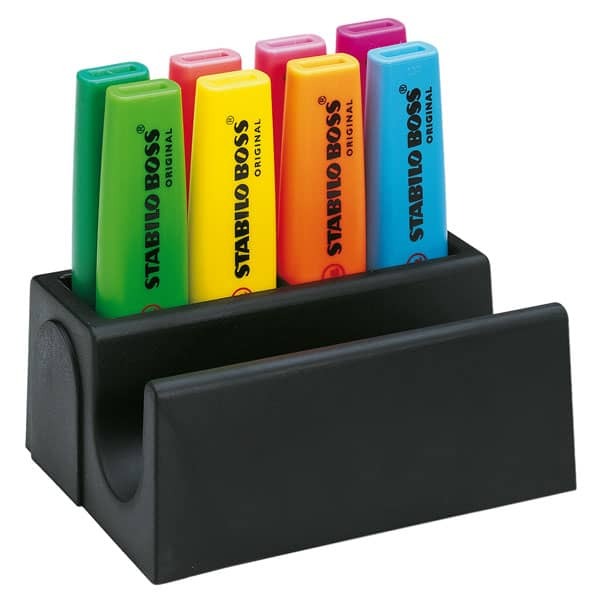 They products are great for students, teachers, secretaries and anyone who loves to write. I have an obsession with office supplies and think you can never have enough! I was blown away at my review package Quo Vadis sent me for review. Notepads, highlighters, pens- I was in my element! Olivia was really excited and started confiscating some of the products for herself to bring to school! I’d love to tell you all about the awesome Quo Vadis products I received! Rhodia is a brand that is known by its trademark orange cover and black logo on its notepads. The paper is of the highest quality and is so soft and smooth to touch! I ran my fingers over it and it’s the smoothest paper I have ever felt. Ink does not go through the pages of the notepad. I got a Rhodia epure Notepad in Black that is so sleek and professional looking. The cover is a simili leather material with the Rhodia logo embossed in it. I kept this one for myself. I am constantly making notes and jotting down ideas as they hit me so I keep this notepad next to my workspace. It’s come in quite handy! Olivia kept the smaller Rhodia epure Notepad in Orange. It’s a smaller more compact version of my notepad. They start at $11.89. STABILO Swing Cool Pocket Highlighters are awesome! I remember when I was a student I was always wearing out my highlighters because I used them so much for studying! They are flat and pocket-sized with a clip and come in 8 different colours. The colours I received were orange, pink, green and yellow. I found it interesting to learn that this little highlighter has a ventilated cap and a special flow-control-tip that allows you to highlight without bleeding through the page. I like that you can also easily do “thick” and “thin” highlighting. So if you want to just underline, you can! I remember the highlighters I used in high school only came in one width and it was always so messy. It either bled through the pages or I ended up highlighting more than I wanted to. I like that the STABILO Swing Cool Pocket Highlighters allow for precision and make your work look much neater! And more highlighters! This time I got to try out the new re-design of the STABILO BOSS ORIGINAL highlighter which has been around since before I was even born! It came out in 1972 and has been a hit since. In fact, 2 Stabilo Boss are being sold each SECOND and it is #1 in Europe. It comes in six fluorescent colors and is well known for its long service life. It is made to last you a long time and will not run out after a heavy study session. I got to try them in four of the colours: yellow, green, pink and orange. It also comes in two line thicknesses and I like that you can keep the cap off of it for a long time and it will not dry up. I can see why it has been so popular since the 70s! My favourite is the STABILO bionic worker liquid ink roller ball pen. It’s a dream to write with! I received the Medium model with a 0.5 mm tip. Writing is effortless. My hand just glides across the page. Plus, it has an ergonomic design so you can write longer and fatigue free. The entire pen has a non-slip, velvety soft surface. It is very comfortable to use. My hand never gets tired when I am using it. It comes in blue, green, red and black and have a window where you can check the ink levels. They are my favourite pens. I would have love to owned one of these when I worked as an accountant. Olivia is taking a few of them with her to school this year to use. Last but certainly not least, I present to you the STABILO point 88, a fine line pen perfect for writing, drawing and sketching. It’s Europe’s number 1 fine liner and has been around for more than 30 years. It comes in 20 colours and is great to use with a ruler or stencil. It has a unique hexagonal striped design. 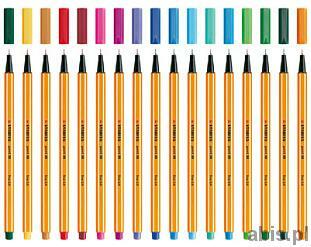 At first I thought they were pencils because of the colour and how thin they were. They work AWESOME though and last a long time. I am still using mine and they have yet to run out. These would be great for an older child to use in art class. I can see why more than 2 billion of these pens have been sold worldwide. 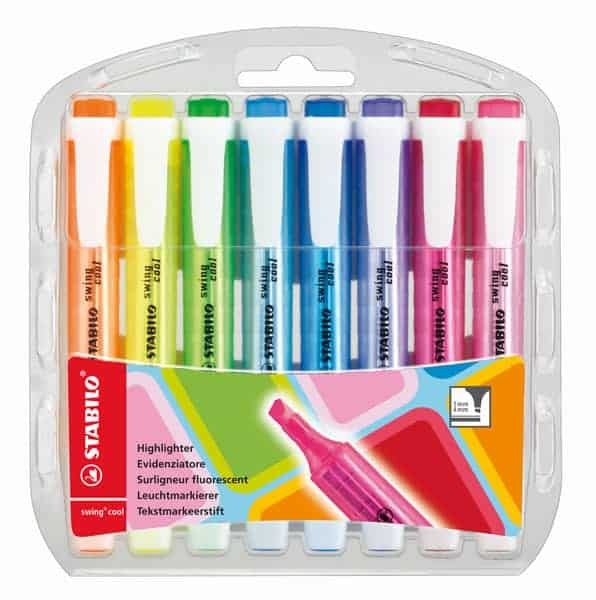 Quo Vadis is the exclusive distributor of the STABILO product line in Canada and I wholeheartedly recommend them! The other products I have used in the past don’t even come close to the quality and precision of these products. I am happy to share them with my daughter for the upcoming school year! Visit the Quo Vadis site and find a retailer near you and give both RHODIA and STABILO a try!